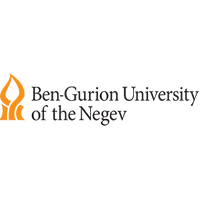 Profile: Ben Gurion University of the Negev (BGU) is one of Israel’s largest research universities. Approximately 20,000 students are enrolled in its five faculties (Natural, Engineering, and Health Sciences, Humanities and Social Sciences, and the Guilford Glazer Faculty of Business and Management), in the Jacob Blaustein Institutes for Desert Research (BIDR), and in the Kreitman School of Advanced Graduate Studies. The University’s main campus, the Marcus Family Campus, and two smaller campuses are situated in Beer-Sheva. The University also has campuses in Eilat and at Sede Boqer (home to the BIDR). The BGU team participating in this proposal are from BGU’s department of Software & Information Systems Engineering (SISE), which is the largest information systems school in Israel. It has 18 faculty members and about 450 students (320 BSc, 90 MSc and 40 PhD students) enrolled in its various programs, which comprise software engineering, data science, artificial intelligence (AI), and cyber security. SISE faculty members conduct innovative basic and applied research, often in collaboration with industry partners, such as with IBM, Dell-EMC, and Deutsche Telekom. In addition to its SISE academic program dedicated to cyber security, BGU created ”Cyber@BGU” – an umbrella organization at Ben Gurion University, being home to various cyber security, big data analytics and AI applied research activities. Residing in newly established R&D center at the new Hi-Tech park of Beer Sheva (Israel’s Cyber Capital), Cyber@BGU serves as a platform for the most innovative and technologically challenging projects with various industrial and governmental partners. Expertise and Role in CONCORDIA: BGU will participate in all WPs and will be involved in research activities related to big data analyatics for cybersecurity, providing cyber defence tools, identifying cyber threats and devising countermeasures. Reseach will involve latest technology trends like Machine Learning and Artificial Intelligence. BGU wil also provide a link in CONCORDIA with the Telekom Innovation Laboratories and the Center for Computational Criminology, performing research in the domains of Networks, Cyber Security, Big Data, Blockchain, AI, Machine Learning & Deep Learning applicable in the IT environment as well as the Law enforcement.